One of the greatest things about New Zealand, for anyone who is afraid of snakes, is that the country has absolutely no snakes. It is even against the law for anyone to bring a snake into the country. 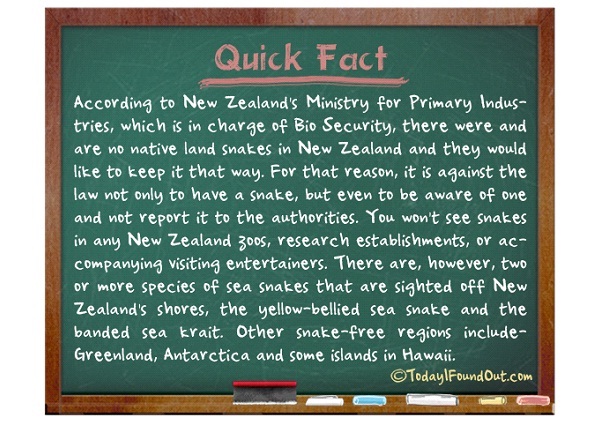 Sea snakes can be found in the waters, but they are adamant about keeping snakes off the land.